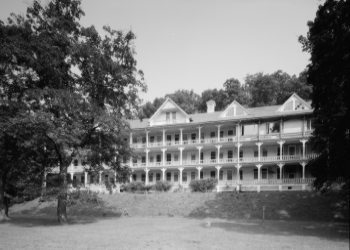 Few properties can boast the historic significance of Bedford Springs Resort, located in the Allegheny Mountains of south Pennsylvania. For more than 200 years, the eight mineral springs located on the resort's property served as an important gathering place. Eventually, the resort would be the site of many significant moments in American history, hosting a long list of celebrities, wealthy clients, corporate magnates and dignitaries from around the world. 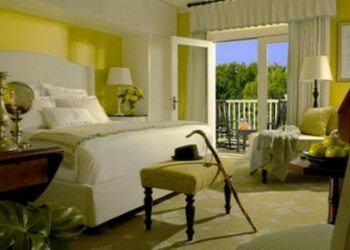 To date, the resort has hosted 10 US Presidents, seven of whom visited during their presidency. The Native Americans first used the mineral springs for their curative properties, and in the late 1700's they shared the powers of the springs with a doctor named John Anderson. In 1796, Dr. Anderson purchased the 2,200-acre property on which the resort now stands. He built a home on the property and as word spread of these unique waters, visitors arrived from around the globe to experience them. He housed the guests in tents and offered custom prescriptions for guests based upon their needs. As more and more guests came west to "take the waters," Dr. Anderson decided to build a hotel. The Stone Inn was built in 1806 from stone quarried atop the mountain located adjacent to The Springs and carried down the mountain by oxen. Guests making the trek to the hotel encountered a rugged journey. They often arrived by train in Cumberland, and then made the 21-mile trip through the Cumberland Valley to Bedford Springs. Today, Bedford Springs Resort is the oldest operating hotel in the United States. Historic Firsts for Bedford Springs - who proclaimed the most popular resort? Bedford Springs Resort is truly an American original. With its growing list of wealthy client�le, it gained a reputation as a luxury destination and was proclaimed as the Most Popular Resort in the United States. Bedford Springs became home to one of the first golf courses in America, originally designed by Spencer Oldham (and later redesigned by A.W. Tillinghast and then the renowned Donald Ross). 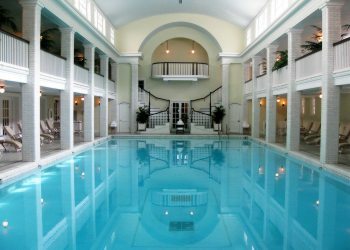 And in 1905, the resort opened one of the nation's first indoor pools - fed by the property's spring waters. With its alluring surroundings and high-profile guest list, Bedford Springs' role in history was already in the making.